What can a study of Hardwick Hall tell us about Elizabethan England? To answer this question, it is helpful to understand the background of Elizabeth, Countess of Shrewsbury, who built Hardwick Hall. ‘Bess’ was a high achiever in what was very much a man’s world. She was already wealthy from her previous three marriages, and had given birth to eight children, when in 1567, she married George Talbot, the Earl of Shrewsbury. His fortune was built upon land, coal and iron, glass, and shipping. As Countess of Shrewsbury, Bess had no trouble spending his wealth remodelling the family home at Chatsworth House. However, their marriage ran into trouble after he was given the job of guarding Mary, Queen of Scots, early in 1569. This task was not only expensive, but also made Bess suspicious of the Earl’s motives. After the Earl died in 1590, Bess put all her energies into building and furnishing a new country house – Hardwick Hall. Hardwick Hall itself was built for Bess by the most famous Elizabethan architect, Robert Smythson. The Hall demonstrated the Elizabethan concern for symmetry and order. Nothing was allowed to spoil the external symmetry. For this reason, the chimneys were given internal flues so they did not disturb the profile of the Hall, and some windows were false, having stonework behind them. The Hall is more than testimony to the development of the English glass industry during Elizabeth’s reign. The design and height of the building models the importance of an Elizabethan belief in order and degree in society, which in turn reflected the divine order of the universe. And so, the ground floor was for servants, Bess lived on the first floor, and the second floor was reserved for potential Royal visitors. How does Hardwick Hall reflect the culture and values of the time? 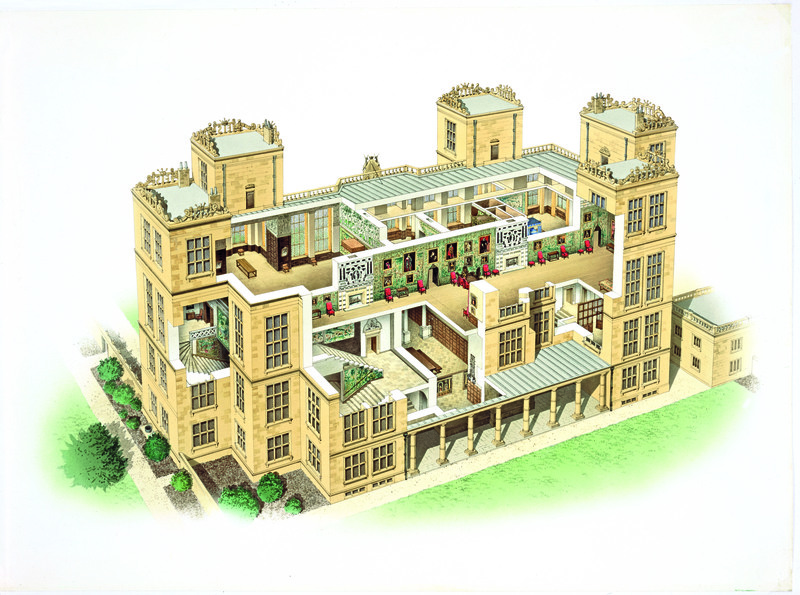 When studying the Historic Environment, it is important to consider how the design of the site reflects the culture, values, and fashions of the time. Inside Hardwick Hall, the furnishings and decorations are uniquely preserved much as they were in the sixteenth century. Although Bess loved French furnishings (a taste she shared with Robert Dudley) and magnificent textiles full of classical allusions, she was not extravagant. Hardwick was also designed as a practical place to work for the 40-50 servants who lived in Bess’s household. In the AQA British Depth Study exam paper, the historic environment is tested by just one question. This evaluative question targets Assessment Objective 1 (knowledge) and AO2 (key concepts, such as change and consequence). The question uses the student’s knowledge of the historic site to test out a statement about the period. When teaching the British Depth Study units, you may find it helpful to refer to AQA’s Historic Environment Resource Packs, which provide the background history to historic sites, as well as related visual and textual sources for use in the classroom. 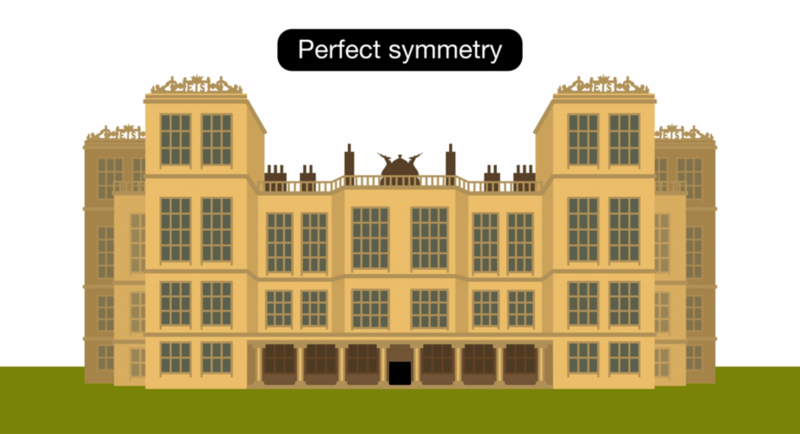 The Hardwick Hall National Trust site is fully booked for group visits until May 2018, but you can use the historic environment walk-through animation on Oxford AQA History GCSE Kerboodle Exam Practice and Revision to show students the key features of Hardwick Hall. 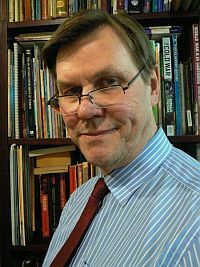 Jon Cloake taught History for 35 years, and has over 30 years of senior examining experience. He has written a number of GCSE History Student Books.